Various Updates- Figures at Events, Product Survey, Plus X-Antibody Fan Vote! Thread: Various Updates- Figures at Events, Product Survey, Plus X-Antibody Fan Vote! 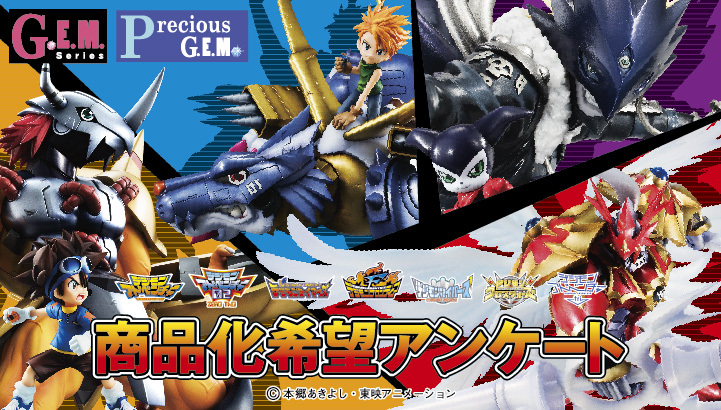 This is turning out to be a big week for Digimon stuff, and we have even more! 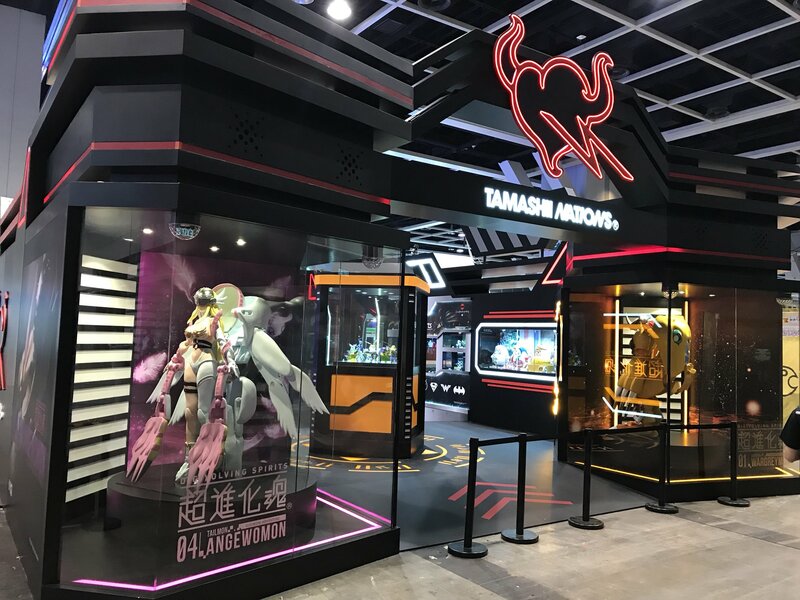 At Ani-Com 2018, happening right now in Hong Kong, Tamashii has a giant booth. 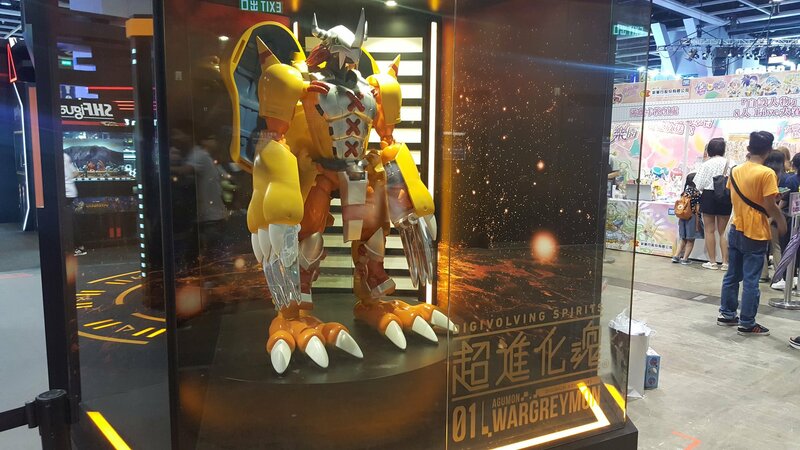 The entrance to the booth is flanked by the giant Digivolving Spirits WarGreymon statue that we've seen before, but we also get our first look at a Digivolving Spirits Angewomon statue! 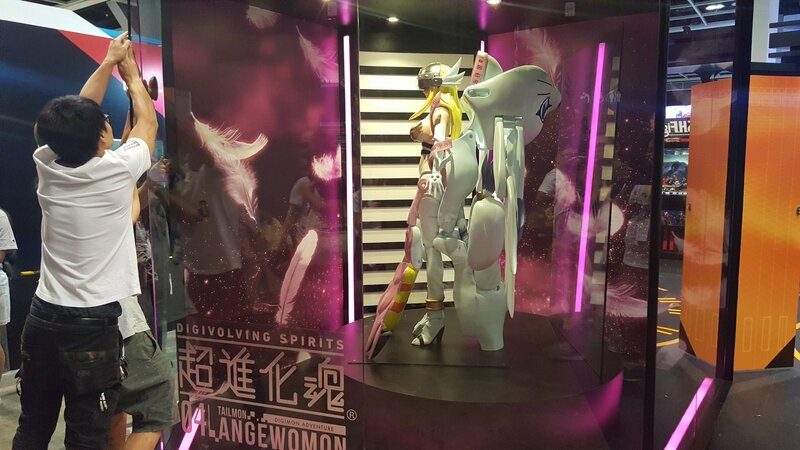 In addition, the Digivolving Spirits display appears to be smack dab center in their booth when you enter it! 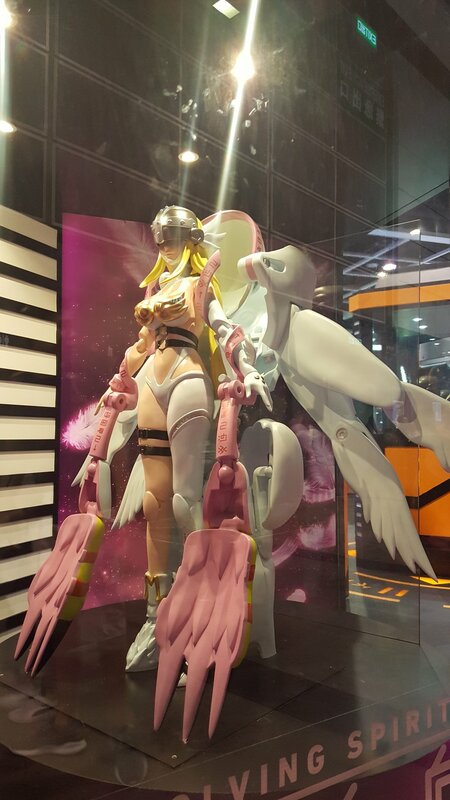 Update- Some additional images of the Tamashii Ani-Com booth thanks to Tsubasa_Hayate. Wonder Festival 2018 Summer is this weekend, and Megahouse has announced a product update! 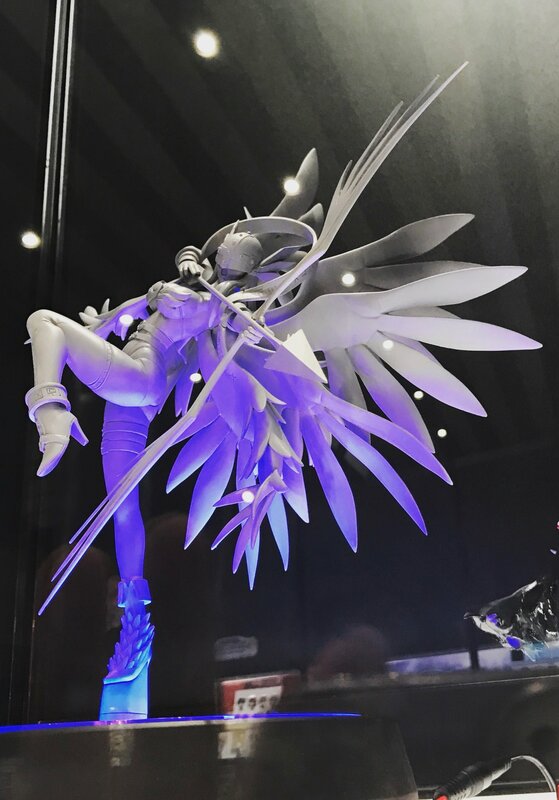 The Digimon Adventure GEM Figure of Angewomon Holy Arrow Version will be on display in color! The survey covers a few things, but mostly GEM Figures. The 3rd question is asking who you'd like to be made that isn't on the list. The 4th is a follow up to a question from a prior survey. Would you buy a Digivice 01 from V-Tamer that had a training/raising function featuring Digimon from the manga and could be worn on your wrist, and how much would you pay for this? Last up, something for X-Antibody fans! Thru July 27th and August 20th, fans will get to help decide new X-Antibody Digimon. You go to this page and can vote once a day what Digimon should get an X-Antibody version. The Digimon who rank 1st and 2nd at the end of the voting period will get X-Antibody versions! Lots of interesting Digimon to choose from, including a lot of fan favorites, so if you want a say you might want to vote. Thanks to babexma for the Ani-Com photo. I bet all on the list will get a X-antibody either this year, or next year. I have voted for Gankoomon, but there are a lot on the list I was interested to vote on. I was hoping Patamon was on the list, but he was not, but he could already be getting a x-antibody form, because of Tokomon X. Others on the list is Angemon and MagnaAngemon, so I do not doubt it one bit. Last edited by Muur; 07-26-2018 at 08:00 PM. Lol, I have no idea how you make, no-doubt very spiky, X versions of ZeedMillenniumon or RustTyranomon, but it makes me laugh that they are options... I went with AeroV-dramon. I would purchase the Digivice 01 if it was less than 5000 yen. Tried to go for things that stand pretty much no chance of getting figures. Going through the exhaustive list, I had to rule out cool peeps like Andromon, Chaosdramon, UlforceV-dramon(kind of a lock to get something one day, more than most monsters anyway) Z'dGarurumon, Craniamon, etc. Last edited by B-mon; 07-26-2018 at 08:20 PM. I'm spamming my X-antibody poll votes on RustTyrannomon, I just really want to see how they pull it off. If As'Maria get his hands on it, he can pull off miracles. I can’t understand the first ones options. It’s all in Japanese. Would like to vote though specially the V-Tamer Digivice 01. Second survey voted for Demon. Lol he needs more love plus what’s the worst they can do to the poor guy? Cant wait to vote tomorrow. Same! 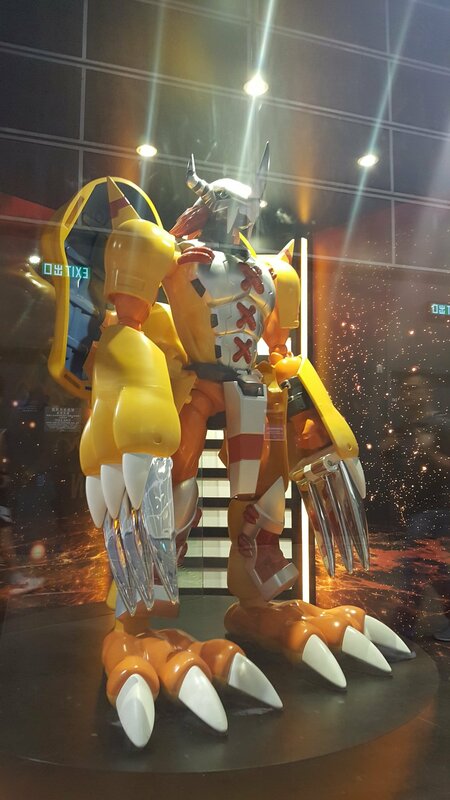 Since it was already designed with the possibility of being an X-Antibody Digimon in mind, I really want to see them somehow make it X-Antibody-er. Plus, RustTyrannomon is really cool.